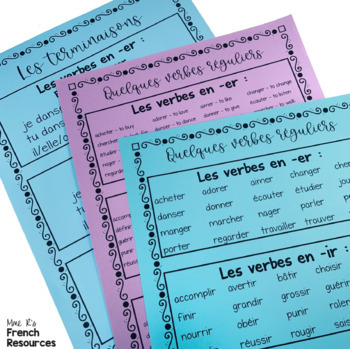 Need some visual reinforcements for verb conjugation? 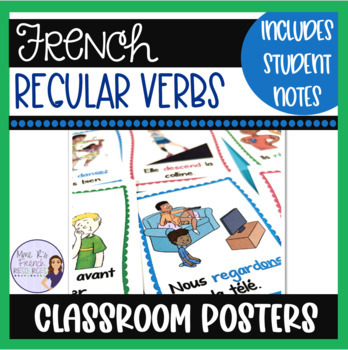 These cute 24 posters are an easy way to help your beginners begin to practice and master regular French verbs. 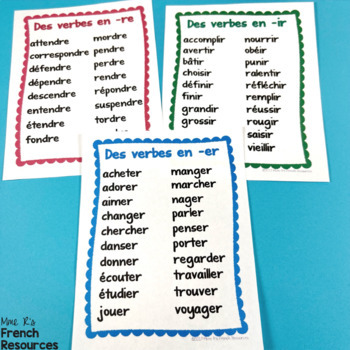 Each verb has 8 posters with an image and an example sentence. 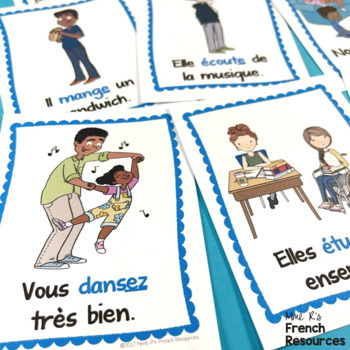 Find this and more in my French teacher bundle! Want to get TPT credit to use on future purchases? Go to your My Purchases page and log in if necessary. Next to your purchases, you will see a link to Provide Feedback. When you click it, you will be taken to a page where you can give a quick rating and leave a short comment for the product. Every time you give feedback, TPT gives you credits that you use to lower the cost of your future purchases. Your feedback helps me determine which products are most best for you, and I will be able to continue offering more products that can help! Want to know about new discounts, freebies and product launches? Sign up here for my newsletter and get handy tips, fun ideas, and FREE resources only available to my subscribers!